From foundation drain to floodplain there is a continuum of drainage features that affect flood risks and damages in urban areas - these are micro lot level factors and macro neighbourhood factors. redevelopment is subject to special policies if allowed. Yes, some property reference points could identify a few flood risk factors to address, but overland flooding risk is not apparent at the property scale - that is if we agree overland flooding is not a result of poor lot grading or obvious rain entry points. Unlike other risks like fire hazards, the structure or property does not define most of the risk when if comes to flooding. It will be interesting to see what methods Aviva has adopted for defining risk levels and overland flood endorsement premiums. 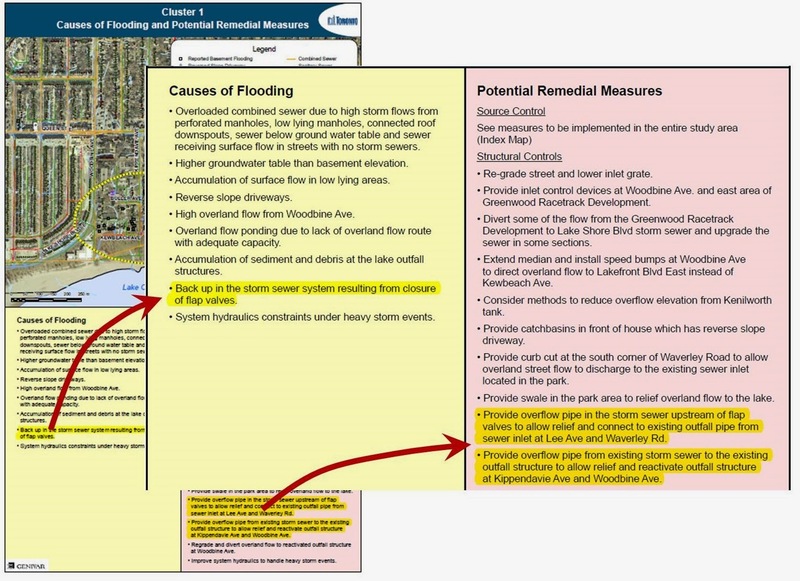 Aviva is excluding high risk properties (about 5% of properties) considering flood plain maps that identify river (and sometimes lake) flooding hazards. Micro-scale factors like the property's foundation drain and service lateral condition can affect almost any property, but issues with those do not cause overland / surface water flooding. regulated floodplains may be several hundred hectares in size. I'd suggest the most sensitive overland flooding occurs upstream of large floodplain-mapped valleys and up onto urbanized 'table land' where the sewer drainage system and overland drainage system are not designed to accommodate runoff from major rainfall events. Usually this would be in catchments draining a 125 hectare or smaller area in Ontario, lying beyond the regulated flood zones above where Aviva insurance would not be available. In these areas, neither the capacity of the storm sewer system, nor the adequacy of the overland drainage system (ideally on roadways and drainage easements) is apparent at the individual property scale. The macro-scale, overland system is only apparent from runoff accumulation and concentration from 10's of hectares to even a couple hundred hectares of table land runoff that accumulates downstream. That is, a broad neighbourhood-scale macro factor representing many hundreds upstream of properties. The map of overland flow drainage areas (red text in yellow highlight) shows the continuum of drainage areas extending beyond regulated floodplains that flow into to smaller surface features that run through the urban lot fabric. distances from small and large runoff area flow paths. Neighbourhood scale risks factors for overland flooding can be assessed with some minor effort (relative to detailed pipe-by-pipe sewer and street-by-street hydraulic simulation models that is) by just considering topography from readily available elevations models and by applying core GIS hydrology tools. The image to the left on 'major sags' is an example showing overland flooding risks including dwellings within poorly-drained sags. In this case it includes dwellings upstream of a railway embankment that can impede and 'back up' flows during large events. (i.e., drainage-challenged during extreme runoff events). The risk to dwellings and property within close proximity to overland flow paths can be ranked. For example a building within 3 m of a 10 hectare area runoff flow path, or 15 m from 100 hectare area flow path, would be at relatively low risk. Alternatively a dwellings within 3 m of a 100 ha flow path would be at a high risk. A building within both a flow path and in a sag would be at the highest risk. Remember, these are estimates and are qualitative. Nonetheless, experience shows that areas identified through these heuristic methods have be subject to overland flooding during extreme rainfall events. The issue with overland flood insurance (urban, table-land type flooding) is that risks are concentrated with a small portion of downstream properties for whom risk-based premiums could be unaffordable, or for whom coverage would not be available. The majority of upstream properties would not likely ever experience overland flooding nor add coverage for it. So overland flood damages are not like wind damage (path of wind can be anywhere whereas path of water is always the lowest elevations). At a property scale, a property with poor lot grading and a reverse slope driveway may be at high risk regardless of proximity to overland flow paths or major sags in topography. Such a property would benefit from having an overland flood endorsement in its water protection insurance. Ideally homeowners in this situation can take action to mitigate risks by improving grading, installing barriers to flow from the reverse drive, keeping grates clear of debris and perhaps installing a backflow valve on the driveway drain. Beyond these exceptions, anyone with foundation drains that could clog or a service lateral that could become root infested is at risk of flooding - but that would not be overland flooding, but rather back-up from the floor drain or seepage from the foundation wall and cracks (a different endorsement all together). 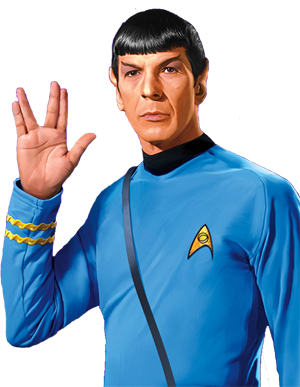 Be Logical About Rainfall Extremes And Flooding - Its What Mr. Spock (Leonard Nimoy) Would Have Wanted ! --SPOCK, Star Trek: The Original Series, "Space Seed"
Flooding from extreme rainfall is dangerous. But if facts related to the cause of flooding are insufficient, the solutions to flooding will be misguided ... illogical. Those are the facts. The report is entitled "Methodologies to Improve Rainfall Intensity-Duration-Frequency (IDF) Estimates: A Southern Ontario Pilot Study", by Environment Canada, Adaptation and Impacts Research Climate Research Division, dated December 2011. The study was supported through the Natural Sciences and Engineering Research Council of Canada (NSERC). 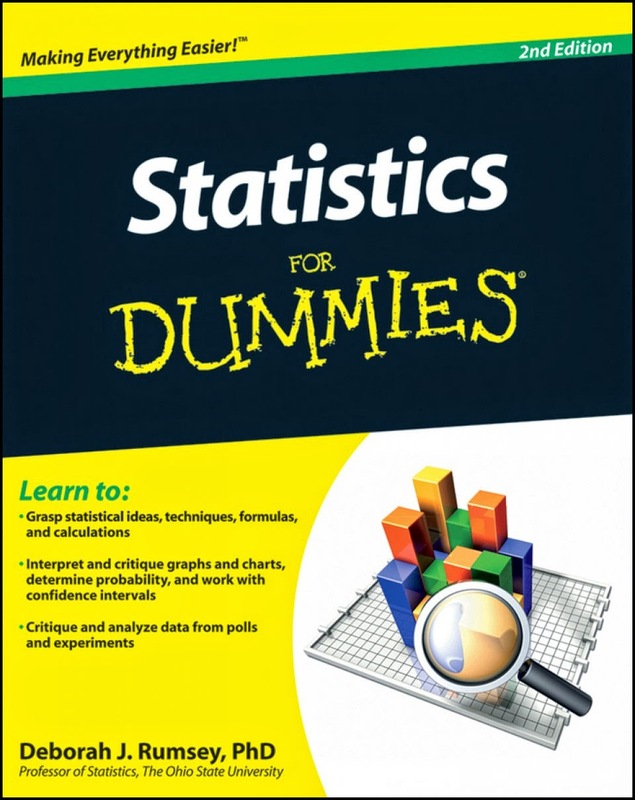 It's 176 pages long. Click for report. Mr. Spock, Leonard Nimoy (RIP), would be proud. More recently, Environment Canada had an article on extreme rain trends published in Atmosphere-Ocean that reiterated there are no overall trends in rain intensity - click for abstract. "The August 19th downpour was just one of 8 extreme rainfall events in the past 20 years that resulted in basement flooding and other damages. The August 19th storm exceeded the rainfall expected in a 1-in-100 year storm. Most of the other storms were estimated previously as having a 1-in-25 year to 1-in-50 year chance of occurring. 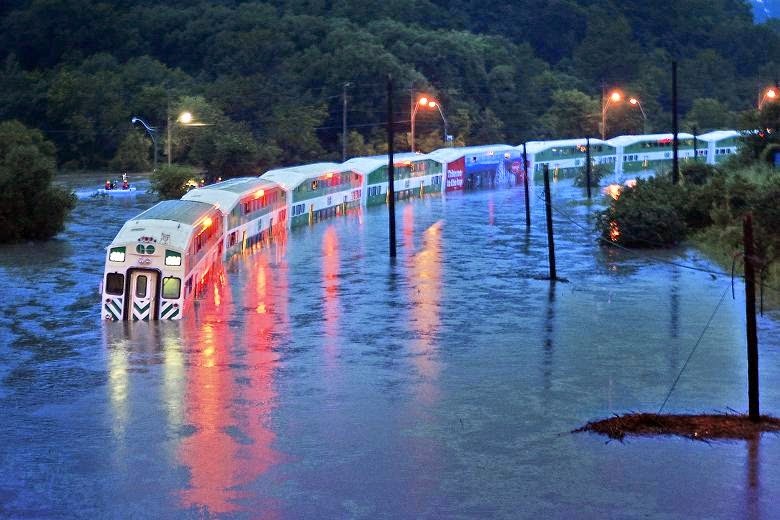 Taken together, these events indicate that intense rainfalls are already on the rise in the Toronto area and that design standards for stormwater management need to be revised." This is from a report is entitled "Climate Change Adaptation in the City of Toronto: Lessons for Great Lakes Communities" by Clean Air Partnership, dated 2008. See Report Pages 19-20. The phrase "Taken together" takes the place of statistics, analysis and scientific conclusions. 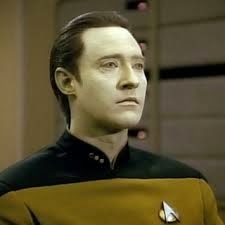 The plural of anecdote is not data. Environment Canada's analysis and conclusions indicated "... trends were determined to be non-significant with no simple patterns or uniform rates of change evident ...", while Clean Air Partnership's conjecture is that intense rainfalls are "already on the rise". It is possible that the proliferation of low cost, closely spaced rainfall gauges has increased the observation of intense rainfall events and improved technology has resulted in near-real time reporting of extremes in the 24-hour media. But this does not mean that the intensities at any static location have increased - Environment Canada's analysis of individual rain gauge locations shows only very small, non-significant changes. Factually, in the municipality where I work we used to rely on Toronto's Bloor Street rain gauge statistics many decades ago when there were no reliable local records in the then township. A decade ago we used a single rain gauge at the local airport to characterize rainfall - that's one gauge per 200 square kilometers. Today we have a dense rain gauge network with over 10 gauges covering 15 square kilometers each - this dense network observes more intense rainfall events because previously storm cells could readily pass around the single airport gauge available. 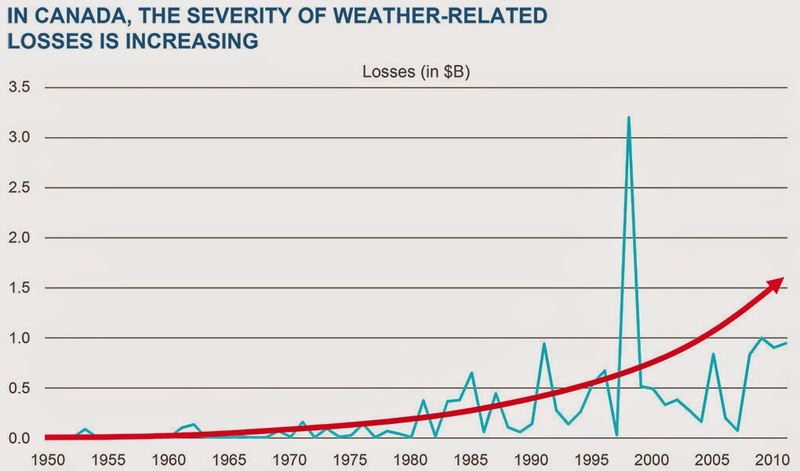 Factually, extreme rainfall data were not reported in real time decades ago, and data used to be recorded with analog systems (rotating drum charts) that needed to be reviewed by hand, transcribed and digitized before being reported or compared to statistical data to report on frequencies. Today, rainfall intensity and volume data are recorded and analyzed and compared to statistical data in real time. Results over thresholds associated with local or widespread flooding are texted in real time and also emailed. This and 24-hour media contribute to a focus on extreme weather, observed more often due to the denser monitoring networks available today. It is possible that infill and intensification in Toronto has increased runoff rates and volumes. Anecdotally, I need only to look around my house to see the residential intensification in the last 45 years: on my block the rear laneway has been urbanized (used to be gravel, now it is concrete with storm sewer), the two smallest homes across the street are now monster sized, the third smallest is now the vestibule for the massive new home in the old back yard, the semi I'm attached to has an extension on the back as do several others, smaller homes on large lots that had some greenspace have been replaced with multiple homes (includes the neighbours to the north of me, and the neighbours north of them, and the neighbours north of them). The latter two homes now have 90% paved front yards for parking and many other homes have added or expanded front yard parking (more impermeable surfaces = more runoff). Factually, as part of flood remediation hydrologic model refinements, I have quantified increases in rooftop area of several percentages over 10 years in a GTA municipality using GIS data. Additional driveway increases, not measured, would add more pavement. Over multiple decades infill and intensification increases runoff. Example intensification, just the 8 addresses north of me since the late 1970's ... add it up. It is possible that infill an intensification in Toronto has obstructed major overland flow paths, aggravating flood damages during extreme rainfall events. Factually, I have observed drainage easements encumbered by sunroom additions and landscaping such that drainage of low points in residential roads is compromised, and have observed overland flow paths encumbered by monster home rebuilds. This occurs because overland flow paths (unless there is an old easement) are not regularly mapped or managed by municipalities, yet are prevalent in areas built pre-1980's when overland drainage was not engineered/designed to stay on right-of-ways and away from homes. The Toronto Area 32, flood cluster 1 shows environmental improvements implemented in the 1990's to reduce sewage overflows aggravated basement flooding during the extreme August 19, 2005 storm. This is often referred to as the "law of conservation of poop" - poop either it spills to the river / or lake or backs up in the system and potentially into basements - it is an incompressible liquid and it has to go somewhere. Area 32 is one specific example in my neighbourhood, but you can find many others. Adjustments to combined sewer overflow regulators to send more flow to the treatment plant can reduce combined sewer overflows, but must be carefully investigated to prevent basement flooding and overloading of the wastewater treatment plant." "For the Sterling outfall the recommended solution is a regulator adjustment, which would involve the raising of the existing weir within the combined sewer system to increase the amount of wet weather flow going to the wastewater treatment plant and reduce CSOs. This is a Schedule A project and may proceed to implementation." Translation: Schedule A = no further study required as impacts are assumed to be small per the Municipal Class EA Process. The law of conservation of poop would tell us that reducing the overflow of sewage at the Sterling outfall by raising the height of the overflow weir will increase the volume of poop in the sewer system, will raise the level of poop in the system and can put basements at higher risk of flooding. It is not clear if those flooding impacts have been quantified - they may be low or they may be high, just like the Toronto Area 32 impacts. Google F-5-5 and see what other municipalities have tightened up their sewer systems to achieve pollution reduction but may also have unintended impacts. The challenge in large municipalities is that there can be competing interests and programs. And it is possible that right hands are not fully informed of what left hands are doing or of impacts of actions or inaction. A good example of that is in Ottawa where Petrie Island beach closure in August 2006 were likely caused by a major unreported sewage spill at the Keefer regulator site adjacent to the John Street-Sussex Drive intersection. The 2008 audit report is available online. Like in Toronto Area 32 or Hamilton Ward 1, the management of sewage spills will affect the system - too much regulation in Toronto and perhaps Hamilton can adversely affect basement flooding, while too little regulation as in Ottawa will cause sewage spills/pollution. Municipalities are caught between a rock and poop. 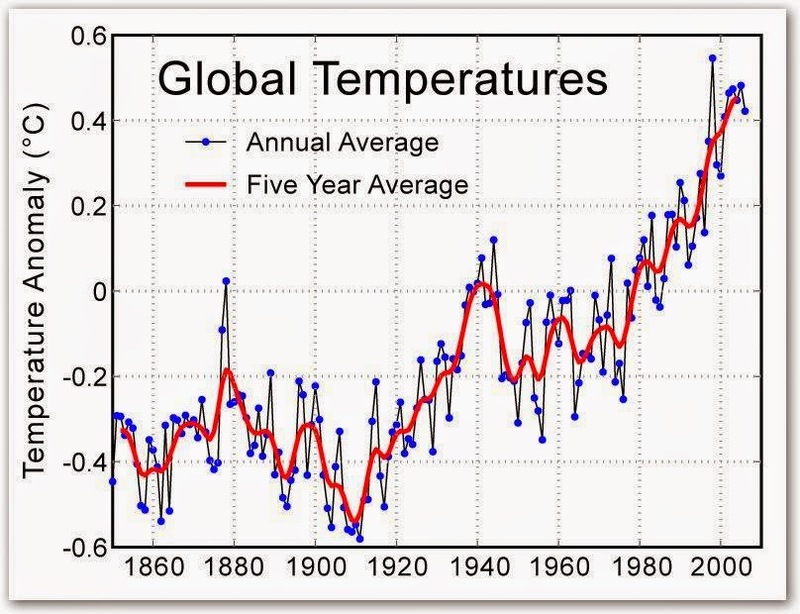 There is factual, scientific analysis of rainfall extremes that shows no increasing trends. There are also anecdotes (MR Spock's dangerous insufficient facts) about a lot of big storms that are turned into misguided conclusions - this is really like "Jenny McCarthy vaccine science". Without more intense rainfall, there are also many factual explanations for increased flooding in urban areas based on i) tangible, even measurable, runoff factors (infill and intensification), and ii) the regulation/modification of the underlying sewer systems to meet other often competing objectives like pollution prevention (F-5-5). Insufficient facts could cause us to connect flooding solely with climate change, and cause us to more fully invest in green energy and carbon pricing to reduce greenhouse gases as a mitigation measure - or as Mr. Spock says 'invite danger' by trying to solve the wrong problem, and misdirecting focus and resources. Scientific facts should cause us to promote greater runoff source controls for infill development, and to preserve overland flow paths in old neighbourhoods with easements, grading or infrastructure improvements. Scientific facts should cause us to carefully trade off pollution control objectives and natural environment impacts with social and human impacts due to flooding, and to restore overflows where pollution controls have caused flooding (see Area 32 structural recommendations above). The world is full of compromises. Infill and intensification builds compact, livable communities that can be effectively serviced by public transit, promoting a healthy environment ... but there are runoff impacts. Regulating sewers to keep beaches swimable improves communities and benefits aquatic environments by treating small storms ... but can adversely affect sewer operation and cause flooding during extreme storms. The world is also complex and requires sufficient facts to make informed decisions on important topics. This is especially so when the facts about problems influence the billion dollar decisions on solutions. How accurate are weather forecasts? Not very. Call it chaos or call it the 'butterfly effect' - http://en.wikipedia.org/wiki/Butterfly_effect - it is "the sensitive dependence on initial conditions in which a small change in one state of a deterministic nonlinear system can result in large differences in a later state." 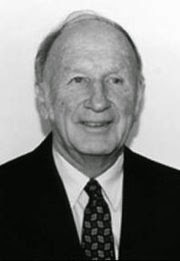 This is the name given by Edward Lorenz (23 May 1917 – 16 April 2008), an American mathematician, meteorologist, and pioneer of chaos theory. He was not consulted the the Weather Gone Wild authors, or others who hang their hat on faulty science .. maybe because he is dead and because science is secondary to crafting sensational journalism. "Recurrence, the approximate return of a system towards its initial conditions, together with sensitive dependence on initial conditions, are the two main ingredients for chaotic motion. They have the practical consequence of making complex systems, such as the weather, difficult to predict past a certain time range (approximately a week in the case of weather) since it is impossible to measure the starting atmospheric conditions completely accurately. " "The occurrence of the white colour areas over Canada is more predominant for precipitation forecasts, which are generally less skillful than temperature forecasts, and increases with forecast range at longer lead times. The increasing occurrence of areas coloured in white over Canada implies diminishing ability of the forecasting system to make reliable and accurate predictions in these regions." Look at the example to the right - ITS ALL WHITE, meaning in 10-12 months we can expect average precipitation .. that is recurrence, trending back to the mean. Any extremes get washed out in the predictions. What about short time periods within the predicted month? Well, climate models do not have the temporal precision to drill down to minutes and hours because they have daily times steps. Some day they likely will simulate smaller time steps, but don't confuse precision with accuracy - extra decimal places that infer precision in the output do not mean the overall number is close to reality. So you have to ask yourself how you can predict changes in 5 minute and 1 hour extreme rainfall intensities 50 years from now with any accuracy. Climate modellers will suggest that you can but reputable scientists, like professor emeritus Edward Lorenz, would tell them its just lies and butterflies.